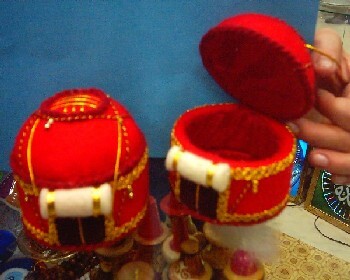 A jewelry box made in the shape of a Urt (Kazakh house). This one is made out of felt. This is about 5 inches high by 4 inches wide.